We’ve all done it a time or two…or three or more. Sang along proudly with a song only to find out later that the lyrics you recited were not exactly what the music artist was performing. There’s actually a term for that—mondegreens. It derives from a 1950s ballad “The Bonny Earl of Murray” aka “The Bonnie Earl o’ Moray”. 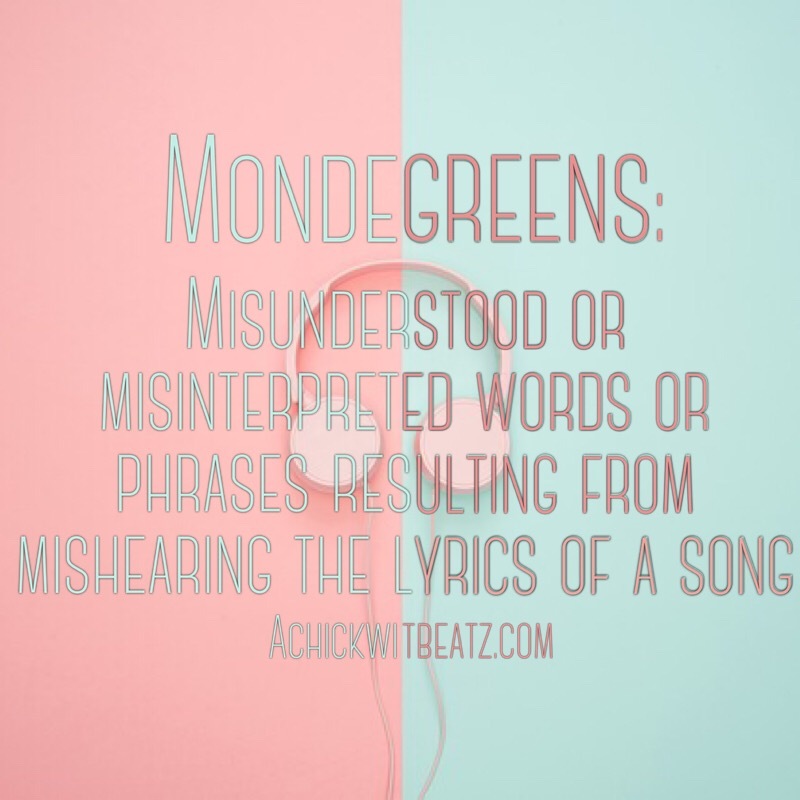 The ballad contained the phrase “laid him on the green” which was misinterpreted as “Lady Mondegreen”. Have a mondegreen that you’re not embarrassed to share? Drop it in the comments below!